This interview was conducted by Joan Axelrod-Contrada. 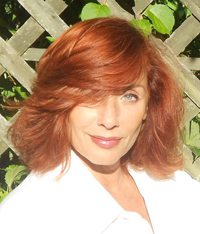 Lisa will be our morning speaker and will conduct a workshop called Secrets of the Plot Goddess. When I was in fifth grade, I had a sudden realization – the books I was reading were written by grown ups who wrote those novels, stories, and poems as their job. That was it. I knew that was what I wanted to do. The most rewarding part of being a writer is those moments of flow – when you’re so absorbed in what you are doing that you lose yourself. Sometimes, when I look over what I have written, I don’t remember writing it, as if I have been channeling something beyond myself. That, to me, feels like a spiritual occurrence. It feels meaningful. The only frustrating part is the publishing industry. I love my editors, my agent, the art directors, the marketers, my booking agent. All of the people I come into contact with in the industry are smart, talented, and passionate about books. But the business itself feels impenetrable and sometimes arbitrary. My next book (out in April 2017) is called APARTMENT 1986. It’s about a girl who – for various reasons having to do with family, friends, and school – decides to skip out on her fancy New York City private school for a week and, instead, visit the museums on the Upper East Side. She makes a friend and, as I like to say, shenanigans ensue. It’s very funny, but it also touches on some serious issues. But, mostly, it’s funny. I grew up in Houston, Texas, but when I was fourteen, my father got remarried and moved to the Upper East Side of New York City. He and my stepmother live a block from the Met. When I would come to visit as a teen, I always felt overwhelmed by the city and like a fish out of water. It’s a bit about that, and about other things that were happening in my family around that time. But it’s a novel – it’s not like my actual life at all. My talk is called Creativity Takes Courage, and I’m planning to talk about rejection, failure, fear, and how to handle it. The good thing about that topic is that if I totally blow the speech, I can use all of the advice in my talk right away. You’re also presenting a workshop called Secrets of the Plot Goddess — How Destiny Drives Your Story. Tell us about that. This is a workshop I designed for people who are more comfortable thinking about characters than plots. It’s a framework for imagining the plot as if it is a character with a specific desire line, as if it is making choices and taking action along with the protagonist. I’m working on a new novel called THE DREAMWAY, which is about a girl whose brother is kidnapped by a Nightmare and taken into the underground subway system that powers our dreams. I’m also continuing to work on my grammar humor website, IvanaCorrectya.com, and on helping to develop and grow the low-residency Writing for Children and Young Adults Track of the MFA program at Sierra Nevada College, where I’m on faculty. Our next 10-day residency is in Jamaica in January, so anyone who is considering getting a Master’s degree should check it out! 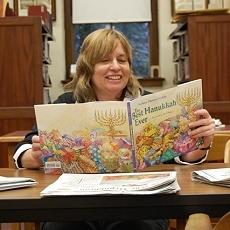 Barbara Diamond Goldin is the author of 18 published children’s books, including JUST ENOUGH IS PLENTY: A HANUKKAH TALE (National Jewish Book Award) and CAKES AND MIRACLES: A PURIM TALE (Sydney Taylor Book Award), and received the Sydney Taylor Body-of-Work Award from the Association of Jewish Libraries. She has also written story collections, non-fiction, retellings, and historical fiction. 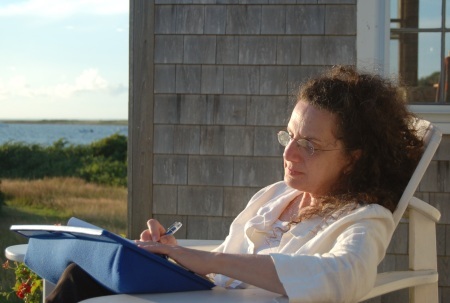 She is Director of the Edwards Public Library in Southampton, Massachusetts, and leads writing workshops and speaks about being a writer around the country. She was recently interviewed by Cheryl Malandrinos. When did you first get bitten by the writing bug? I have always loved to write–letters, journals, lists, diaries. I have also always loved to make up stories. When I began to babysit at age 11, I found I had an audience for my tales. Plus, I found a way to get lots of babysitting jobs. I would stop in the middle of the story, at the most exciting part, and tell my charges that if they wanted to hear what happened, they’d have to tell their parents to ask me to babysit again. Later, when I was a teacher, I told stories to rapt audiences of 4 and 5 year olds. It wasn’t until one of my students asked me to repeat a story I had told before, and I realized that I couldn’t remember it, that I started to write the stories down. So I was a storyteller before I became a writer of stories. Who gave you the most encouragement early on? My father was a big influence on my writing. He wrote because he enjoyed the process–poems, short stories, and articles. He was the editor of the army newspaper in his unit in World War 11 and kept a scrapbook of all his articles. He continued to write off and on all of his life and shared his poems with our extended family. At his funeral in 2005, my brothers and I read some of Dad’s poems aloud. I was lucky to grow up in a household where writing, art, and music were a happy part of how we spent time together. Writing tends to be a lonely enterprise. How do you balance your “writing time” with the rest of your life to keep yourself sane? Ever since I started to write regularly and seriously, I turned to writing groups to help me improve my writing and weather the rejection letters that came my way. I have always been in a writing group, sometimes more than one. I have been in groups where we read our writing aloud and gave feedback to each other. I have been in groups where we actually wrote and then shared what we’d written. I’m grateful that the writing groups I have been a part of have been of the supportive kind, not the competitive, throat cutting kind. We try to lighten up the tougher parts of the writing life, too. One time, early on in one group, we had a contest to see who had the most rejection letters and the winner won a huge bag of M & M’s. That winner (it wasn’t me) went on to sell her first book that year. Have you ever gotten writer’s block. And how did you snap out of it? I have an attitude about writer’s block. I tell myself I don’t believe in it. This is how I deal with what other people consider writer’s block. I have tricks. If I get stuck, I reread my whole manuscript, or at least the previous chapter or day’s writing. That usually warms me up to get going again. I say to myself, “It doesn’t matter what you write, just write something. You can always revise it.” And so I write something. Sometimes I’ll work on a different project. I usually have a couple going at the same time. Maybe a novel and an op ed piece for a newspaper. Another trick is to read an article about writing in a writer’s magazine. The blank page can be an awful thing to start your writing session with. So I start with something else; like writing a letter or a humorous slice of life piece or reading an inspiring article. What is your latest project about and how long had you worked on it? Does it take the reader in a different direction than your last published work? Last summer I finished work on a book about women in the Bible for 10-15 year olds. It was the first time I worked on a book with another author, in this case Jane Yolen. This project took us a long time to complete–five years! Besides the fact that life interfered, (I was in graduate school for three of those years.) it took us a while to figure out how we were going to organize the book, what we were going to say, and who was going to do what sections. Jane is very accustomed to working on books with other people. But I wasn’t. I’m very glad to say we are still friends and I learned much in the process. One thing I had to overcome in the process is the fact that Jane was my mentor and first real writing teacher. It was hard to say, “Jane, I think you should change that,” etc. Believe me, I had to learn to speak up! 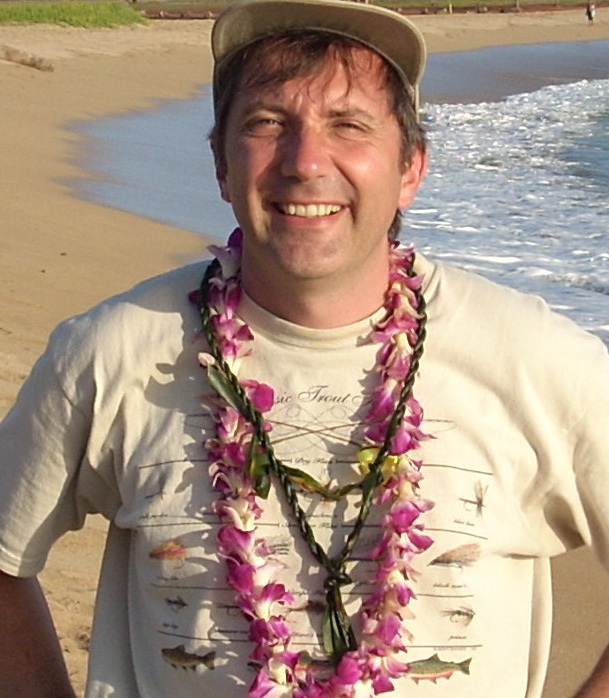 An Interview with Dan Drolette Jr.
Dan Drollette, Jr. is an award-winning foreign correspondent and lecturer whose articles have appeared in Scientific American, International Wildlife, Natural History, Cosmos, Science, New Scientist, and on the BBC. He is a TEDx speaker, and held a Fulbright to Australia. For the past three years he edited CERN’s on-line weekly magazine, in Geneva, Switzerland. 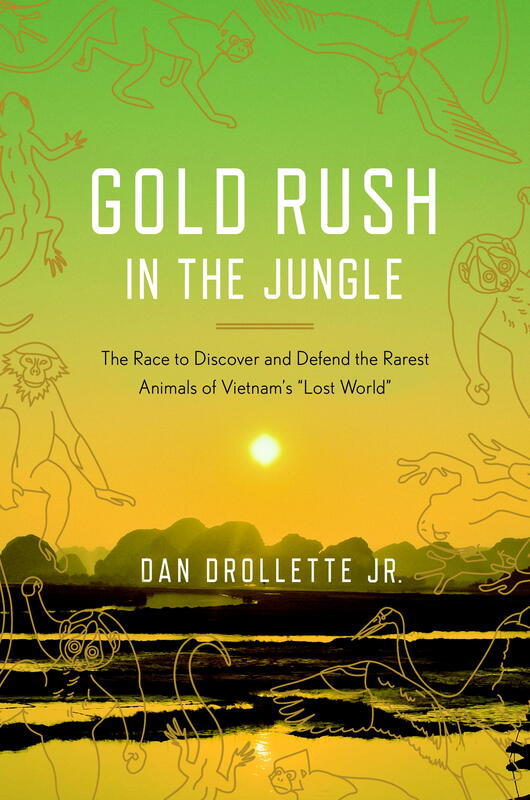 Drollette is the author of GOLD RUSH IN THE JUNGLE: THE RACE TO DISCOVER AND DEFEND THE RAREST ANIMALS OF VIETNAM’S “LOST WORLD,” published in April by Crown. He was recently interviewed by Cheryl Malandrinos. Being a writer is a great way to indulge your curiosity about the world. Having a notebook or a pen or a camera or an audio recorder in hand is like having permission to ask all kinds of questions that are normally not permitted, and to go all kinds of places where you would not normally be allowed. Most rewarding: you get paid to learn. Someone once said that being a science writer is like a never-ending graduate school of the mind, in which your instructors are the most brilliant faculty in the world, willing to give you a private one-on-one tutorial about their latest findings. Most frustrating: never having enough time. I just had my first book published, called Gold Rush in the Jungle, a nonfiction work that takes place in the forests of Indochina. It’s about a part of the world I previously only knew from movies, and what I found was completely the opposite of what I expected. It turns out that in Vietnam, the peace is more dangerous than war when it comes to wildlife protection. And there is a heckuva of a lot of creatures out there that were never known to Western science, which are only being discovered now. And we’re talking about big animals – rhinos, oxen, barking deer, swimming cats, flying frogs, and a species of fish so big that it takes six men to hold just one. It’s amazing that they were never discovered previously; the rhino species was only an hour’s drive outside Saigon (now Ho Chi Minh City). I mean, how can you not notice an animal the size of a car? You’re sitting on the panel, You’re Not Done Yet: The Pitfalls and Payoffs of Revision, at this year’s WriteAngles Conference. Can you tell us a little bit about what you’re planning? I was thinking that I would use my experience with the book as a springboard for my comments about the rewriting process. From previous Write Angles conferences that I’ve attended, I realize that the audience skews toward fiction, but I think my experiences are easily applicable to all writing. Whatever the genre, you try to be clear and succinct, with a strong sense of place and character, while having fun with dialogue and the play of words. Above all, you want to get across the passion that drives your protagonists in the first place – for example, what makes a person give up their nice comfy home in the West to spend years in the jungle rescuing an animal no one has ever heard of? And in science writing, you also have an added layer of complexity, in which you try to introduce cutting edge new material while at the same time not losing – or boring – your audience with the vital basics about a given field. It can be tough to hit that sweet spot, but that’s the fun part. When you get it right, it’s like the sound of a really clear voice singing. You can feel it. I sort of fell into a niche I call “adventure science,” in which I accompany researchers into the field in order to explain their world. It’s sort of like what George Plimpton used to do for sports writing – when he wrote about football, for example, he spent a season on the team of the Detroit Lions, and came out with the book ‘Paper Lion.’ So that’s what I tried to do for wildlife biology in the jungle. For my next book, I’d like to take the same adventure science approach, but this time tackle a completely different field: the search for the Higgs Boson, aka the “god particle” at CERN in Switzerland. I wound up working as a magazine editor at CERN for several years, starting at the moment they turned on their $8 billion superconducting supercollider – the world’s largest machine — and leaving the same week that they announced the finding of the particle. Little did I know how complicated it was to do research in the hills of a communist country, many time zones away from Massachusetts, where English is rarely spoken. This made fact-checking and revising months later a challenge, when I was back home, thousands of miles away from my interviewees. Just getting to a single Vietnamese national park was a big project, in which I had to complete the final leg of the journey by hitching rides on the back of motorcycles. But it was a breathtaking introduction to the highlands of Vietnam – it is one of the last remnants of old-time Asia, where there’s not a single McDonald’s and the old traditions of a rich culture are still intact. I hope that what people take away from the talk is that there are still amazing story ideas out there, and books can still get published. And not to despair when the editor returns your manuscript filled with hundreds of suggested revisions, big and small! Bee Ridgway grew up in Amherst, Massachusetts. She is a professor of 19th-century American literature at Bryn Mawr College. THE RIVER OF NO RETURN is her first novel, a time travel adventure that draws from several genres including science fiction, historical fiction, romance, and mystery. She was recently interviewed by Cheryl Malandrinos. One answer: I became a writer on July 23, 2011. Having never really even dreamed of doing so, I sat down and began writing a novel. The first draft came out in a mad rush, as if I’d been bottling up my creative writing energies for years and the pressure had built like water behind a dam. Another answer: I’ve always been a writer. I am the daughter of a minister and a poet, and the sister of three writers. I grew up surrounded by stories, songs, philosophical and theological debates, family arguments and jokes . . . every single thing in my life was structured around narrative, and the highest achievement in my big family was being able to capture everyone’s attention and keep them enthralled with a story or a joke or an argument. The most rewarding part of being a writer is writing. The must frustrating is not writing. It’s that simple. 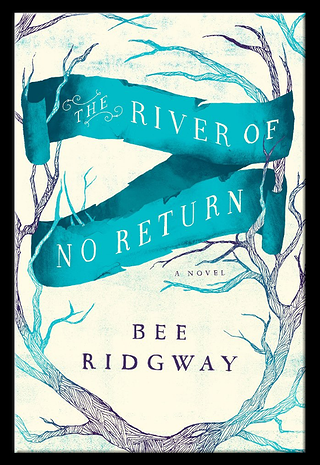 THE RIVER OF NO RETURN came out this year. It is a time travel adventure novel with a love story at its heart. Vanity Fair called it “a thrill ride” and the Washington Post said it had “the feel of an instant classic.” It’s the story of a man who jumps forward in time two hundred years to discover that time travel is controlled by a nefarious corporation called the Guild. He must learn enough about his talent to find his way home again to join the league of time travelers fighting against the Guild and their plan to control the future itself. So many things. Perhaps most of all, I was inspired by my students. I teach 19th century American Literature at Bryn Mawr College, and I find that encouraging students to love literature written a couple of hundred years before their birth is much like teaching them to travel in time. In my novel, time travel works by hooking on to the rivers of human feeling that drive history forward. Teaching the literature of the 19th century involves training students to be tuned to and to feel currents of feeling that might, at first, seem entirely foreign to them. When they catch on, when the fall through time into the lap of an amazing novel, it is a truly beautiful thing. You’re sitting on the Raising the Dead: Transforming History into Fiction at this year’s WriteAngles Conference. Can you tell us a little bit about what you’re planning? 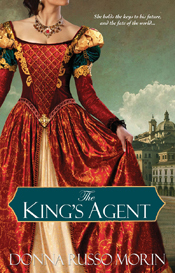 My novel is a genre mash-up extravanza, and it owed much to the genre of historical fiction. I plan to talk about how the fantasy of time travel dovetails with my dedication to historical accuracy, to precise detail. Needless to say the two don’t necessarily go together! I’m writing a novella, a prequel to THE RIVER OF NO RETURN, entitled THE TIME TUTOR. It will be released as an ebook a month before the paperback release of the novel, in March. I grew up in Amherst Massachusetts – I’m very much looking forward to coming home again! Donna Russo Morin’s passion for writing began when she was a child, took on a feminist edge in the sixties, and blossomed into a distinctive style of action-filled historical fiction. With two degrees from the University of Rhode Island, Donna has four published, award-winning books (Kensington Publishing) and is currently at work on a major trilogy about the clandestine birth of the female Renaissance artist set in turbulent Medici-ruled Florence. Her accomplishments and awards include: THE KING’S AGENT March 2012 RECIPIENT PUBLISHERS WEEKLY STARRED REVIEW, TO SERVE A KING 2011 FINALIST: FOREWORD MAGAZINE BEST BOOK OF THE YEAR; Winner: Reviewers’ Choice Award, THE SECRET OF THE GLASS FINALIST: USA BOOK NEWS BEST BOOK OF THE YEAR; Winner: Reviewer’s Choice Award, and THE COURTIER’S SECRET Finalist: National Reader’s Choice Award; Winner: Best First Book RWI-RWA. She was recently interviewed by Cheryl Malandrinos. I don’t believe I had a choice; I believe it was a genetic disposition. I come from a long line of artists (my grandfather was a violin/viola player/maker; one of his viola’s is in the Smithsonian Institute. His father was a sculptor whose works still stand in the churches of Foggia, Italy. My mother tells me I started writing as soon as I learned to write. She still has the stories, though they’re yellowing and creased with age. I became a writer because I was born one. When I hear words like “I got so lost in your story,” “I totally forgot about everything while I was reading your book,” and “I learned more about history from your book than I ever did in school,” I know I have done my work well; I have crafted a story well enough for my reader to be completely swept away by it. I’ve always wanted to be a ‘storyteller;’ when I’ve done it, it’s extraordinarily rewarding. The machinations of the publishing industry, the vagaries of it, especially in these changing days, can be outrageously frustrating. Perhaps as much as the enormous time a modern writer is expected to spend on social media and marketing. Gone are the days when one can just write, just dedicate oneself to the craft, wholly and completely. Can you tell us a bit about your latest release? Ah, I love this story almost as much as I love the story itself. I was doing research for my third book, To Serve a King, which entailed a great deal of study on Francois I. For those that may not know, Francois was the king of France when Henry VIII was king of England. But he was also the king so obsessed with art, that his collection became the inception of the museum we now call the Louvre. It was during this research that I found true life personage, Battista della Palla; he was Francois’ art agent, ‘the king’s agent’. He was mandated, by the king, to bring to France the great works of the Italian Renaissance painters, by whatever means necessary. Battista, his character and mission, so captivated me that I felt he deserved his own book. I had planned to ‘create’ a relationship between Battista and Michelangelo so that I could feature the artist in the book. It was as if I had hit the lottery when I found letters between the two men; letters that revealed a strong and loving bond between them. Now, add into the mix the fact that all of my books are semi-biographical in nature in that the theme reflects a strong condition or emotion I am feeling at the time I’m developing the story. Aurelia, Battista’s female, fictional counterpart, is a woman who longs for nothing more than to shake off the shackles of a life devoted to duty, one overburdened by that duty. The girl just wants to have fun. When she is swept up into Battista’s quest…a romp that takes us across the Italian countryside and exposes her to some life-threatening danger, she does just that…the girl has fun while still serving her life’s purpose. I guess a reflection of my hope for myself. Because my current work in progress is now in the hands of editors at some of the top publishing companies in the country, I don’t want to give too much away. I will say it is a trilogy about a secret society of women set against the turbulent period in Renaissance Florence, the late 15th century. It is historical adventure full of great artists, intrigue, and murder. Is there anything you would like to add? If writing flows in your veins like your life’s blood, then let the laundry pile up, let the lawn grow, let the house fester with dust, and write. If like so many, life has thrown down gauntlets of hardship, then put them in your work, allow whatever emotion you may be suffering to add depth to your characters and their own pain and hardships. Set yourself a firm schedule of when you’re going to write—even if it’s only Friday night from 8:00 to 9:00. Give yourself that gift; silence the excuses, release the prisoner, and write. Linda Cardillo is an award-winning author who began writing fiction when she received the gift of her immigrant grandparents’ love letters and turned them into a story that has resonated with readers around the world. Since then, she has drawn upon her fascination with the far-flung places in which she has lived as she explores the complexity, pain and joy of women’s lives. She is currently writing her fifth book, a novel set in the political turmoil and artistic splendor of 16th-century Italy. She was recently interviewed by Cheryl Malandrinos. I have been making up stories ever since I could string words together. As the first child born into an extended family of busy adults, I relied upon an imaginary friend for a playmate and wove elaborate tales about her. When I wasn’t creating stories, I was reading them, devouring books that became my refuge and my inspiration. When I was forty my aunt gave me the letters of my grandfather, about whom I had known almost nothing. Reading them, written in a mellifluous Italian that revealed a passionate love of language, I understood that writing was in my blood. I love listening to my characters as they reveal themselves to me. I love the moments of discovery when a story takes me in a totally unexpected direction or a nugget of information that I stumble upon in my research becomes a spark that ignites my writing. I love immersing myself in a world apart. I love knowing that my stories have touched my readers. I love less the demands placed on writers in the 21st century to “build a platform” and maintain a presence and a persona in social media. Across the Table is a story about family, forgiveness, perseverance, and food from the points of view of three women—a first-generation Italian-American who opens a restaurant in Boston’s North End, her artist daughter, and her Harvard-educated granddaughter. Two threads in my life came together with the writing of Across the Table. First, although I had once run my own catering company, owning a restaurant was a dream deferred until I created the fictional restaurant Paradiso in my old North End neighborhood and got to experience vicariously the challenges and joys of cooking for a living. Second, I had grown up around the tables of my grandmothers and aunts, hearing their stories as they evolved from eager young women to the matriarchs who anchored their families with food and love, and I wanted to celebrate what they had taught me. You’re sitting on the Raising the Dead: Transforming History into Fiction panel at this year’s WriteAngles conference. Can you tell us a little bit about what you’re planning? I’ll be talking about the challenges I faced in imagining the emotional life of a woman who actually lived and the process of distilling volumes of material into the dramatic arc of a story. My research took me from the stacks of the Mt. Holyoke College library to the MFA in Boston and a stone fortress on an island in the Tyrrhenian Sea. My latest project is a work of historical fiction set in 16th-century Italy and based on the life of a woman who was a celebrated poet, the confidant of popes and the Holy Roman Emperor, a suspected heretic, and the only woman Michelangelo ever loved. I’m looking forward to participating once again in WriteAngles! 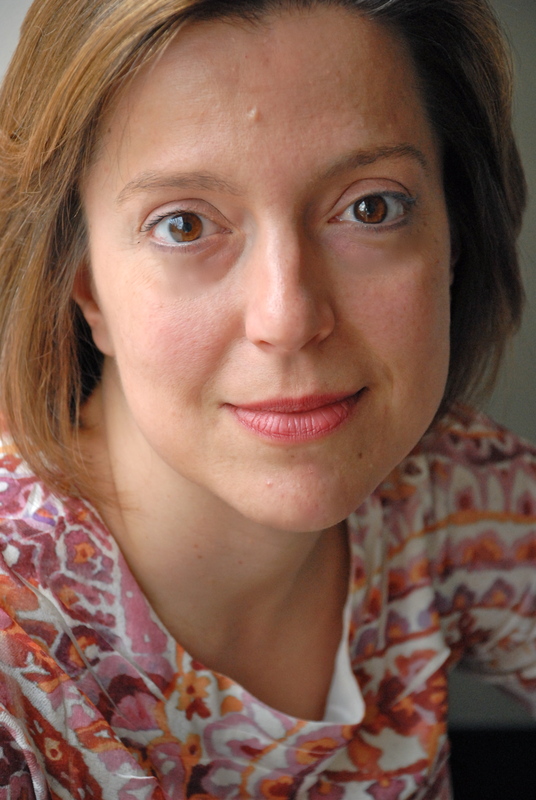 Lisa Drnec Kerr is an assistant professor of English at Western New England University. She has published poetry in a variety of journals including: Green Mountains Review, English, Cold Mountain Review, Oxford Magazine, Kalliope, and others. 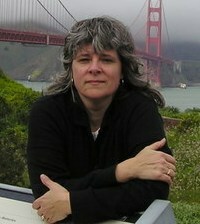 Her manuscript Sky Lake Crossing received honorable mention for the 2011 May Sarton Prize for poetry. Her poem WALKING HORSES was recently nominated for a Pushcart Prize. She lives in western Massachusetts. Lisa was recently interviewed by Cheryl Malandrinos. Did I become a writer? I know I became a mother (I remember that very keenly). I know I became a teacher, a dairy goat farmer, and a knitter, but a writer? I think writing stole me like a thief when I was very young and most unaware, and like a wild child, I’ve been practicing my own thievery ever since. Of course, that doesn’t mean that I write by accident. My work is (now) full of intentionality, and I write for many reasons. I love the fluid sense of self that gets played out in the writing process. Each new project takes me through the whole of human psycho-social development. I am neophyte, intern, attending physician, and specialist. Then I am neophyte all over again. I love being caught up in a rhetorical situation of my own making, and I love reading beautiful books. Beautiful books make me want to be a writer. When someone “gets it,” when an email drops into my box from someone I don’t know saying, “Hey, I read x and y and thought Z!” — that’s a crazy payoff. Once a high school teacher contacted me about using some of my poetry in his Midwestern classroom. I was elated and humbled to have one such reader, much less his 120 young students. (For crying out loud, he had 120 students!) Still, the steady, everyday payoff comes from what writing does for me personally. Writing planes the day; it makes me into someone I might recognize in the window. Frustration is almost always a function of loose perceptions on my part. Frequently (2 or more times per week), I lambast myself for slow progress on certain projects. It is frustrating to be constantly squirreling away writing or revision moments. I ask myself, why can’t I do this “for real”? Why can’t I quit the time drains and work full-time on my writing? But when I stop for a moment and think clearly, I realize that I am working on my writing full-time. The other major considerations in my life, those things that draw me away from the act of writing (family and students) actually provide the substrate for everything I write. It’s at those moments that I realize I am always writing. I’m just not always working with computer screens or pencils. My latest “releases” are poems published in journals and magazines: Cold Mountain Review (forthcoming), Chronogram, and Naugatuck River Review. My manuscript, A Sky Lake Crossing, was named a finalist for the May Sarton Prize (Bauhan Press). A Sky Lake Crossing is a response to the geographies of childhood and the competing narratives that invariably grow out of a reminiscent perspective. You’re sitting on the Revision Panel at this year’s WriteAngles Conference. Can you tell us a little bit about what you’re planning? I am planning to talk about the often forgotten aspects of revision! How’s that for being intentionally vague! I am working on a manuscript tentatively titled, Blue Sky Science. Plus, I am 75 % through a multi-genre text about Parkinson’s disease. I am very happy to participate in the WriteAngles conference!